According to the vendor website LittleSnitch is “a firewall that intercepts unwanted connection attempts, and lets you decide how to proceed”. 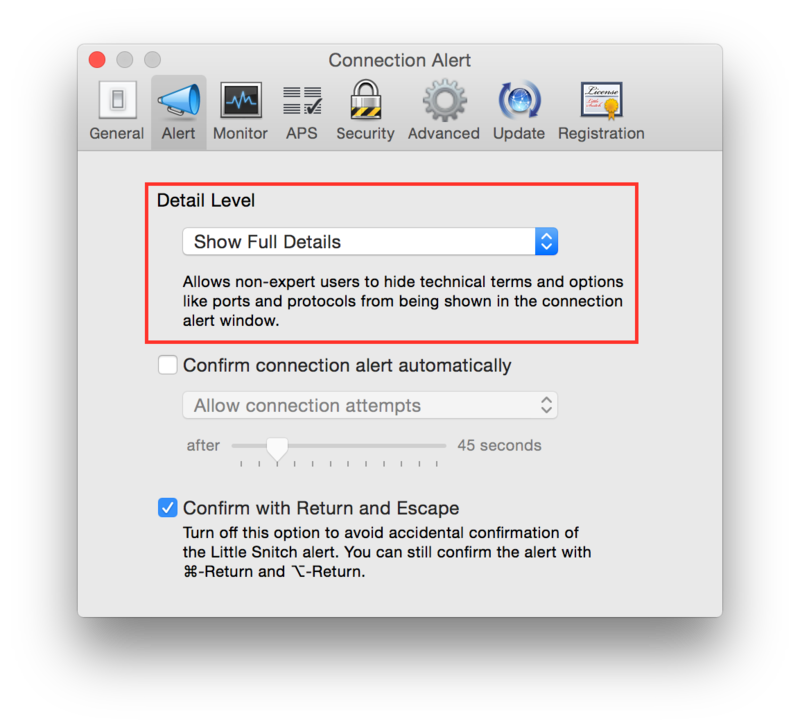 It is really common, and a best practice, to replace Mac OS X default firewall with a more advanced firewall like Little Snitch. This chapter is dedicated to configuring Little Snitch 3. Set “Detail Level” to “Show Full Details”. 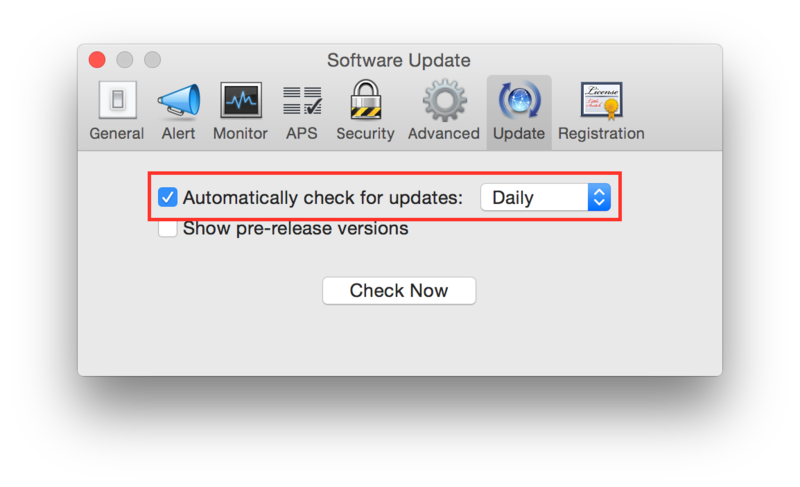 Check “Automatic check for updates” and set it to “Daily”. 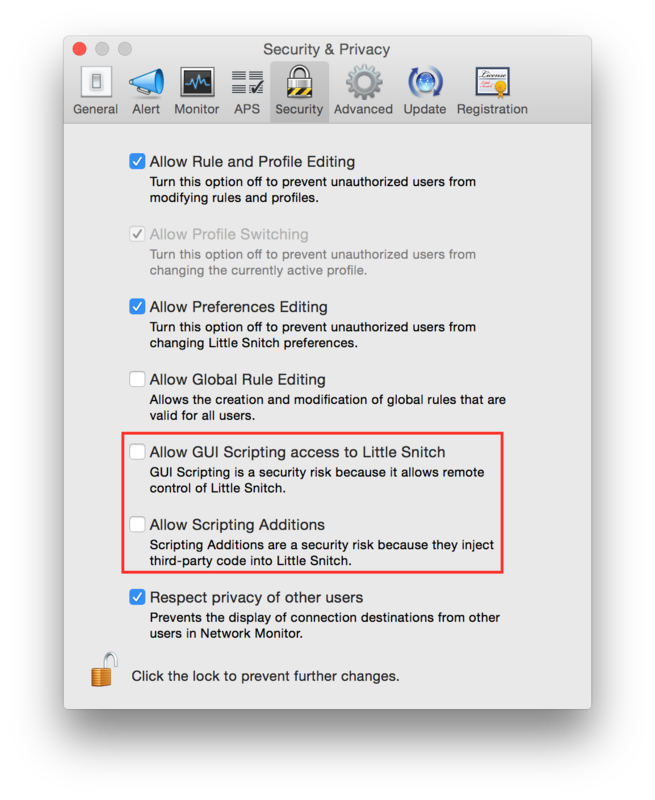 Un-check “Allow GUI Scripting access to Little Snitch”. Un-check “Allow Scripting Additions”. 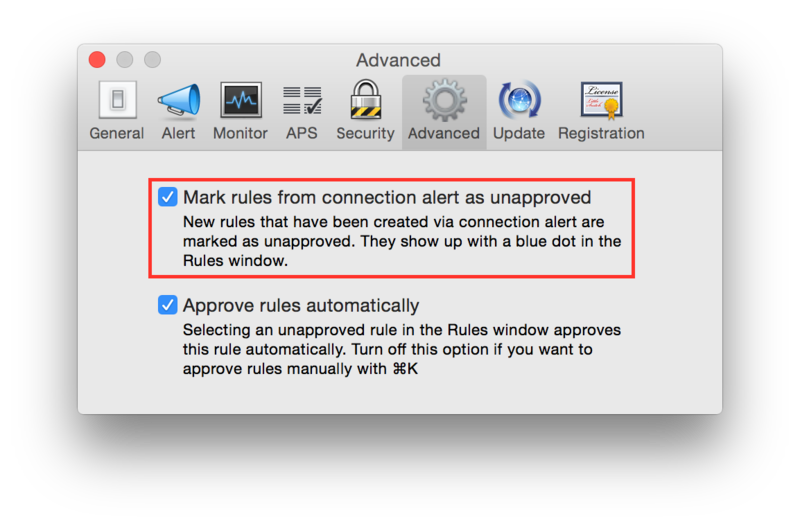 Check “Mark rules from connection alert as unapproved”.